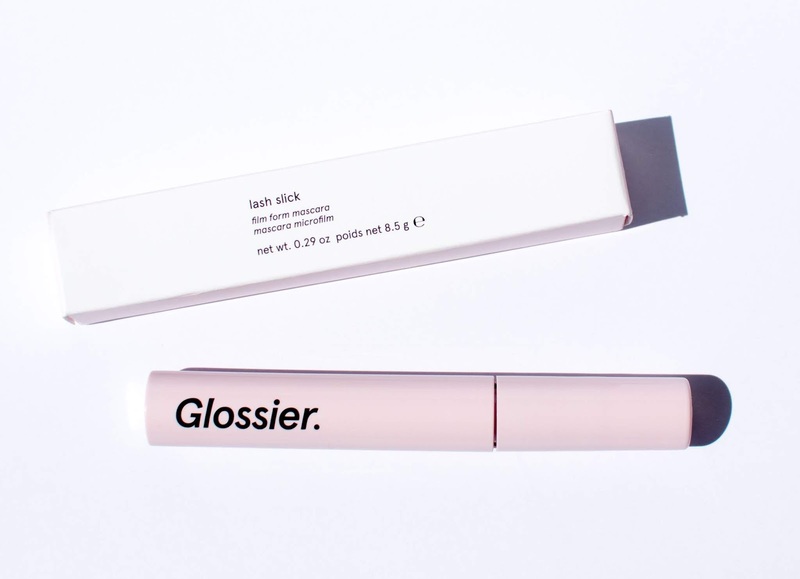 Today I have a review of the Glossier Lash Slick Mascara, their first mascara launch. Like with all Glossier products, there was a ton of hype behind the product and I was so intrigued by the marketing. On their instagram, they were saying that this mascara "has been tested and proven to last and hold curl for twelve hours". 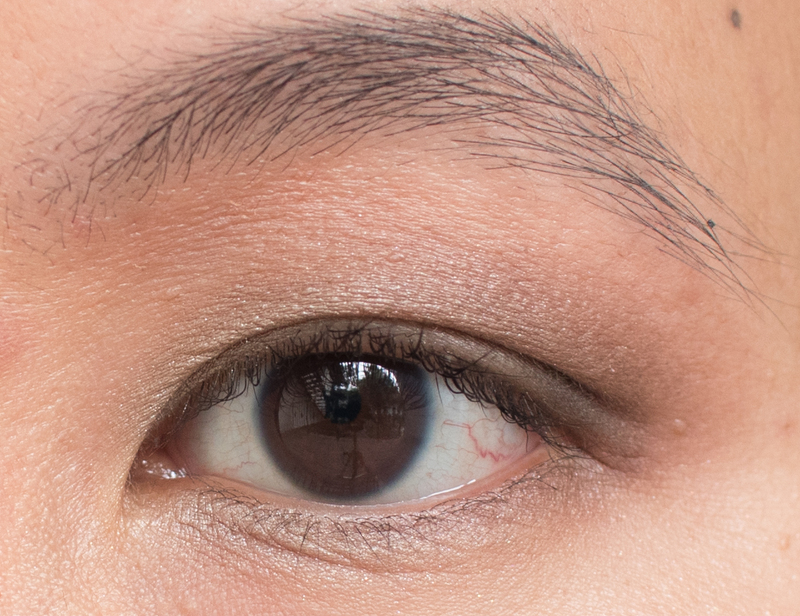 If you're East/South East Asian like me, you've probably been blessed with super straight lashes that point downwards. If I do wear mascara, it has to be waterproof because waterproof mascaras are usually the only ones that will keep the curl in my eyelashes. Given how Lash slick was described as being water-resistant but still keeping the curl, I was down to try it. The question is...did it live up to the marketing? 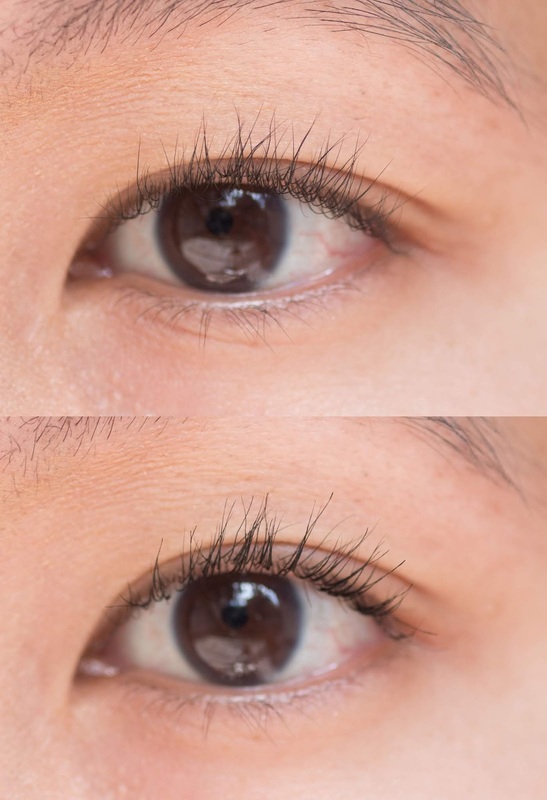 Click through to read my review of the Lash Slick mascara on my straight Asian lashes, see before and after photos, and whether I'd repurchase it or not. 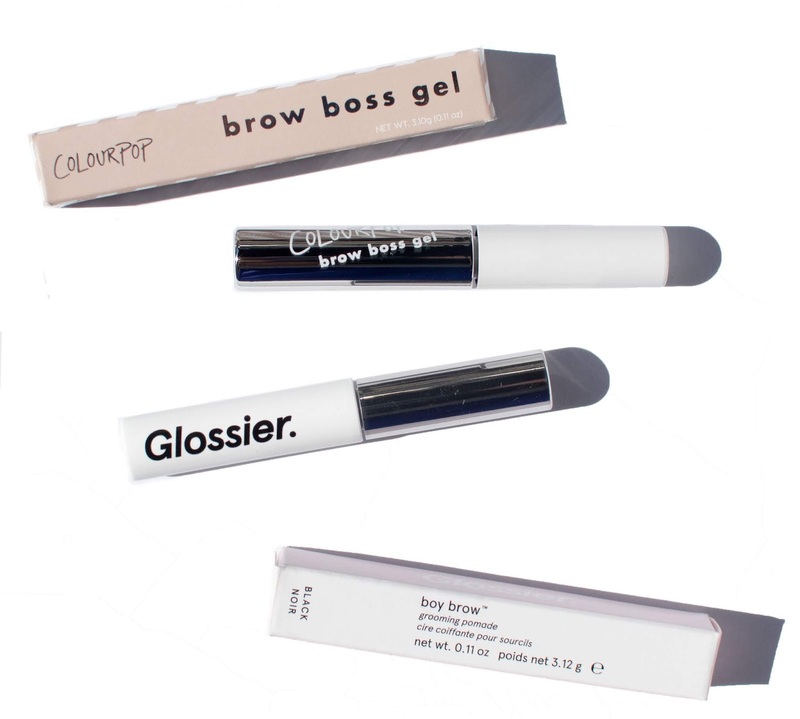 Where to Get It: Glossier. This retails for $16.00 for 8.5 grams/0.29 oz. Packaging: This comes in a pink plastic tube with a plastic bristle mascara wand. The bristles are quite short and the wand narrows at the top. Here's a close up of the mascara wand. 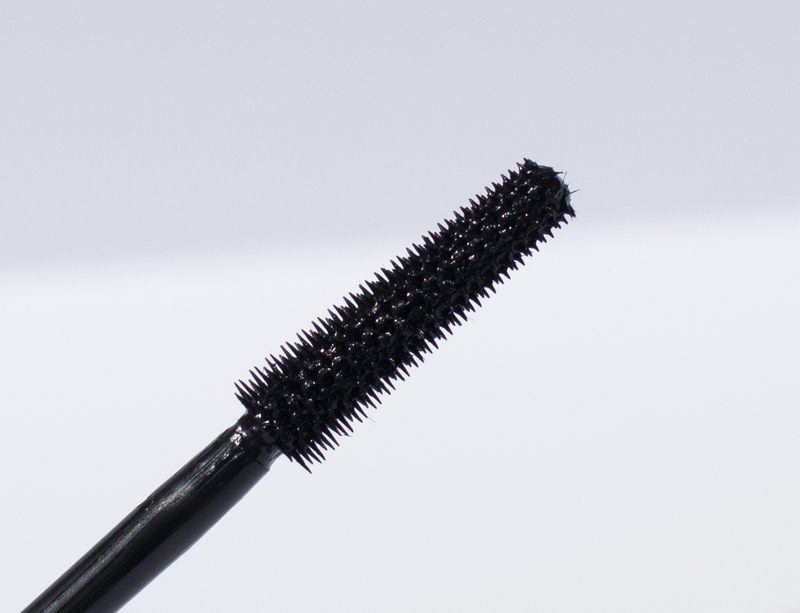 The mascara formula itself is wet but not too wet with fibers that do add length. The short bristles in the wand help to prevent clumping but it can be pokey if you try to put the wand too close to the roots. It currently only comes in Black. To get insight into the review, it's best I show you what we're starting with. 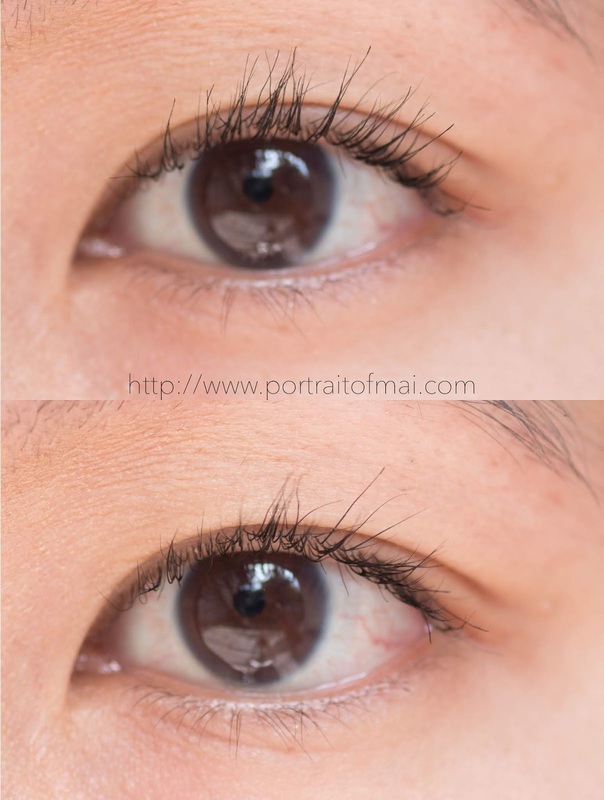 Here are my eyelashes before I curl them and after I curl them. See what i mean when I say they stick straight down? Curling my eyelashes makes a huge difference. Here's how my eyelashes look right with one coat of Lash Slick (on curled eyelashes). The mascara added length without giving up definition, but how does it wear? Here's how my lashes look right after I apply it and after waiting a few minutes. Unfortunately you can see how the eyelashes look more droopy as my eyelashes became more uncurled. The roots of my eyelashes became uncurled while the ends of my eyelashes are still somewhat curled. I thought that I might have been too heavy handed but even applying one light coat still results in my eyelashes uncurling. Unfortunately because the curl is undone, the lengthening effect becomes less obvious. 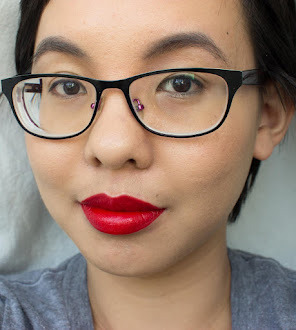 Here's a photo from my last FOTD where you can see how my eyelashes don't look very lengthened at all. There were a few flakes on my under eye at the end of the day but no smudging. This isn't the mascara for everyone, certainly not for my eyelashes. This is not marketed as a volumizing mascara so don't purchase if you want that effect. The mascara is lengthening thanks to the fibers in the formula without irritation when wearing with my contact lens but I noticed a few flakes at the end of the day. 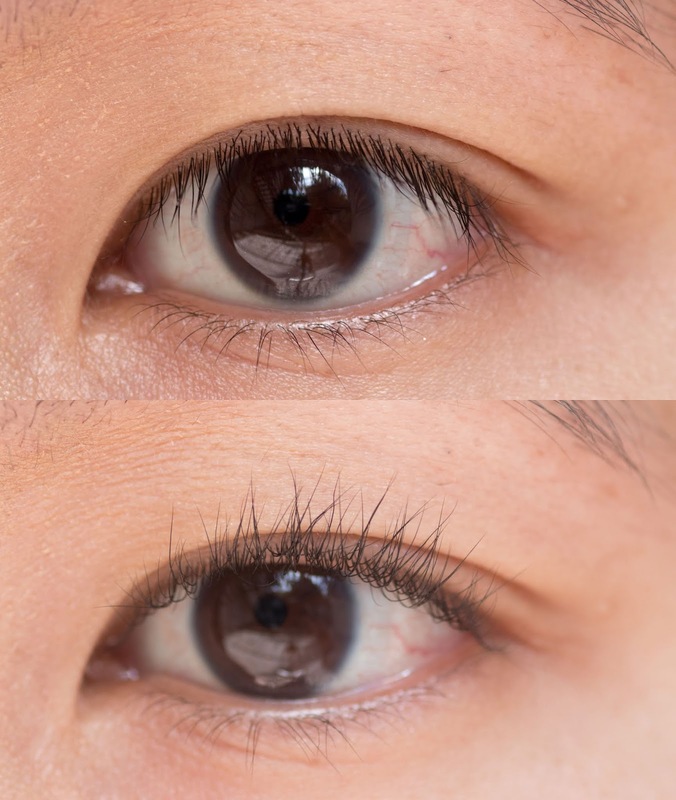 If you have naturally curly eyelashes that want a hint of lengthening boost, you'll probably like this as an everyday mascara but this probably won't hold the curl with most stubborn stick straight Asian eyelashes. Disclaimer: I purchased this mascara using referral credit. All opinions are my own. This post contains a referral link which provides me with referral credit if you purchase using the link. I was not compensated for this post.